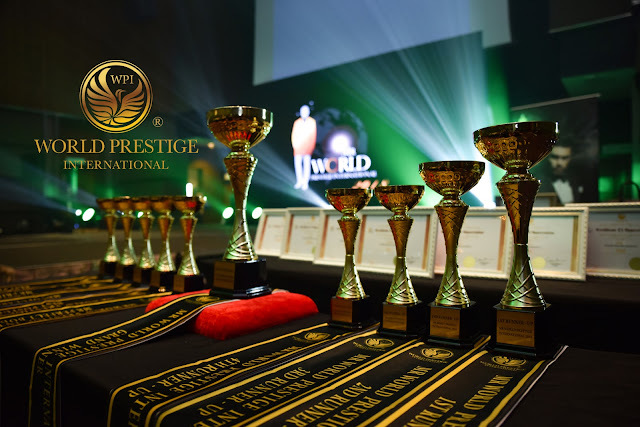 2018 World Prestige International Grand Finals Ten candidates are admired and expected by thousands of people. They will take you to the top of the Winning team. (January 25, 2018) , 6:30pm in the evening , the 2018 Mister World Prestige International Grand Finals is officially held in Pullman Hotel , Putrajaya . The commonly expected "International Honorary Master of The World in 2018" will live up to people’s expectation and take the hot top ten candidates of “Man” together into the river of fantasy with you. This time, the candidates election for the “Man” are no less than the ordinary beauty campaign, on the contrary, exploring the world's great potential of stylish men from the world's international reputation campaign. Today, let’s witness the success of Mr. Victory to be listed in management talent of World Prestige International reputation as one of the artists. HEALTHIEST LIFESTYLE COMPETITION COINCIDES WITH LAUNCH OF THE FIRST EVER SKIN BRIGHTENING ACTIVEWEAR. KUALA LUMPUR, 20th, January 2018 – 20 contestants will be battling it out to see who will come out on top with the healthiest lifestyle in a challenge that spans over 2 months, exclusively for women called the Slimplezy Challenge . The event is sponsored by JONLIVIA Active wear, one of Malaysia’s premium activewear, which will also be showcasing the first ever skin brightening activewear during the event . As the main sponsor, JONLIVIA also takes the opportunity to announce the arrival of the BlazePants Brightening Series: a cutting-edge athleisure apparel from the popular Neoheat Series product range . A Die Hard Football Fan? Let’s Go Manchester! Football, has and always will be a part of the Malaysian culture. Young or old, for a die-hard football fan, nothing is greater than to watch a live football match what more if it is MCFC (Manchester City Football Club) vs MU (Manchester United). The electrifying atmosphere, club chants, excitement, energy, pain or joy that is felt is indescribable. English Premier League is one of the most popular football leagues with the highest number of followers, even in Malaysia. It is truly a dream come true for all footie fans to be able to watch a live match in one of the famous stadiums.